Apple held their annual World Wide Developers Conference last week, and as usual, they kicked it off with a keynote address Monday morning. If you want a full overview of what Apple announced, this video condenses the two hour event down to just eight minutes. I’m not much for rehashing what’s already been covered in-depth, but I have a few things to say about the main topics covered in the keynote. There’s a lot to like in the next version of OS X, available sometime in July for just $29. If you have hardware that supports it, there’s really no reason not to upgrade1. Over the years it has become increasingly clear that desktop computers are still too complicated for non-geek people, and Lion does a lot to simplify things by borrowing ideas Apple has learned from the iPhone and iPad. The influences of iOS on Lion are everywhere in this update, and after some initial skepticism, I’ve come around to thinking this is a Good Thing. While some people see iOS replacing OS X in the near future, the amount of effort Apple put into Lion leaves me with no doubt about its future. The Mac may no longer be the center of the “digital hub”, but it certainly has its place in the Apple product line-up. Sadly, this is also the first version of OS X that will not run on our five year old iMac. Its main use for the last few years has been to serve as an iTunes server for the household, so it’ll likely get replaced with a Mac mini when it comes time to buy a replacement. One thing that wasn’t covered at WWDC that I hope will make it’s way into the final version of iOS 5 is Nuance-based speech recognition. The current technology is quite limited and often produces some laughable results. It’d be great to, for example, listen and reply to text messages using only my voice while driving. 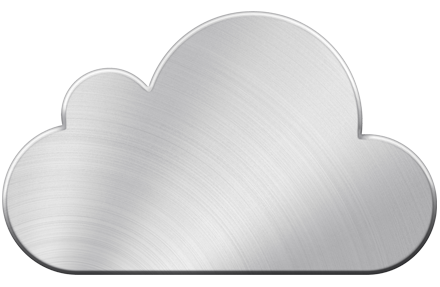 I have mixed feelings about iCloud. On the one hand, it’s going to be great to have a consistent way of saving and sharing documents between the iPhone and iPad. On the other hand, its other features are a lot less useful if you currently depend on other third party services for syncing and sharing. The killer feature for me is Photo Stream, which automatically sends new photos to iCloud then will push them to your Mac and other devices. I’m terrible about keeping our iPhoto library updated, so this will pretty much eliminate that problem. The idea of iCloud document storage looks good too, but I have questions about how it’ll work in practice. In particular, if I create a document in an app, is that data tied to that program forever, or can I easily open it in another app? My current setup – plain old text files saved in Dropbox – seems to be the least risky way to store things, and I’d be surprised if iCloud could improve upon this. Moving onto contacts, calendar, and mail, I’ve been a long-time user of Google’s services, which are each considered to be the best in their classes. Moving these over to the iCloud alternatives would be a big downgrade. For people not already using Google’s apps though, these will be simpler alternatives. Finally, there are iTunes in the Cloud and iTunes Match. The former will automatically push new iTunes music purchases to all your devices, while the latter brings this feature to all your other non-iTunes music for $25/year. The key thing to me with both of these features is that you need to download these songs to all your devices, taking up potentially scarce storage space on your iPhone, iPod Touch, or iPad. Now, if Apple were to offer a streaming service with access to their entire music catalog on all my devices so I could painlessly listen to new songs, that I’d be interested in. Rdio offers this right now for $10/month, and I’ve been tempted to give it a try.